This article is sponsored content brought to you by Platinum CPD. 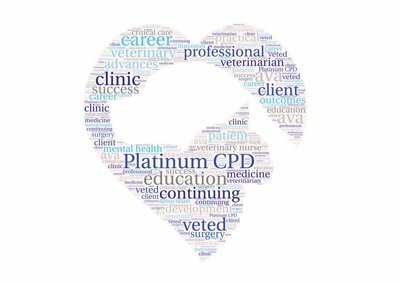 Platinum CPD is an independent Australian company, specialising in veterinary continuing education. Founded in 2015 by two experienced and passionate practising veterinarians, our mission is to inspire vets and vet nurses, empowering them to unleash their full potential. As premium providers of continuing professional development, we are proud to offer a wide range of courses, both practical and lecture-based. Our primary focus is to update veterinary professionals on advances within the industry, current research and their clinical applications. All of our presenters are experts in their field, many of whom are internationally recognised; and where applicable, each course is accredited with VetEd points. All events are also a chance to establish effective collegial relationships by providing the setting for networking with like-minded peers. In a relaxed and interactive environment, delegates are provided the opportunity to improve their knowledge and confidence, and develop new skills that are easily transferable into general practice. Our popular small-group practical courses offer huge value, by providing hands-on experience and individual supervision. Each attendee is guaranteed to leave with new tips and techniques that can then be shared with other members of their practice. Without question, investing in continuing education is a sure-fire way to improve patient outcomes, client care, practice profitability and staff fulfilment. We consider a commitment to continuing education by veterinarians and veterinary nurses to be essential in maintaining and enhancing their professional skills, knowledge and career satisfaction. We look forward to welcoming you soon.